Bette Midler Las Vegas! She is performing at Caesars Palace! Shania Twain - one of our favorites! Elton John is Back! - Loved his Red Piano show! Can't wait to see this one! The Devine Miss M., Bette Midler in Las Vegas, was the first entertainer to be announced that would be replacing Celine Dion's Show, A New Day that ran for the previous 5 years. Bette Midler is a four time Grammy winner, an Emmy winner and a Tony Winner. 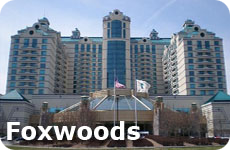 She has had four #1 chart topping singles and had created an amazing and devoted fan base. There is little that Ms. Midler can not do in the world of entertainment. Ms. Midler's show is a variety show that is sure to please the audience. Her sense of style and humor come out in the Vegas themed show. 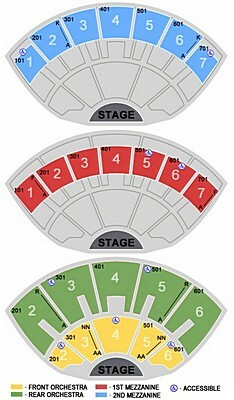 Use this seating chart for when you choose your tickets to see Bette Midler! 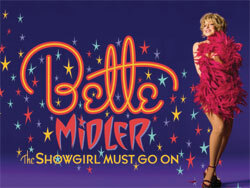 Bette Midler, The Showgirl Must Go on has had great reviews! Most Audience members are loving the $10 million show and say it is the highlight of their trip. Some people find that her act is a rehash of her older stuff. Others are fans and are just happy to see her.